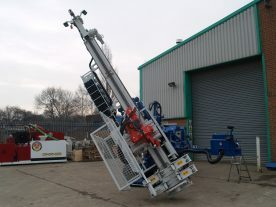 The MC8 is an extremely versatile and powerful small/ medium hydraulic drill rig, designed for civil engineering works such as micropiles, anchoring, jet grouting and ground consolidations in general. The mast articulation abilities, compact size and large variety of movements and inclinations make the MC8 suitable to be used even in very small places. 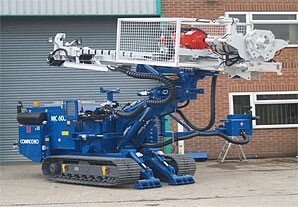 Individual specifications of MC 8s available for hire can be found below.